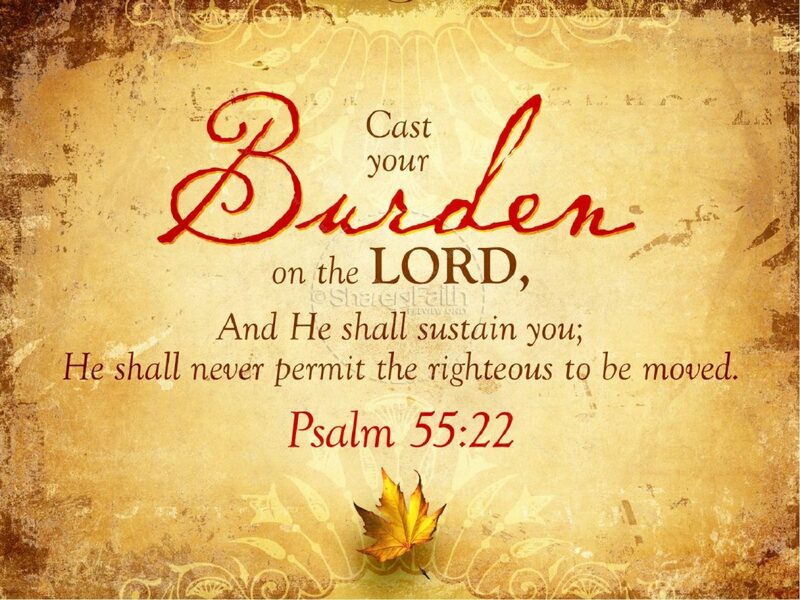 I have not burdened you, says the LORD. I did not cause you to be heavy laden with the cares of this life. I did not send you troubles and I did not overwhelm you. The enemy is the destroyer. The enemy is the tempter. The enemy is the afflicter, not Me. He is the one who has opposed you and endeavors to defeat you. But I Am the one who is with you to bring you out of troubles that are on every side. I Am your healer. I Am health to all your flesh. I Am your provider and I Am the One who will give you rest. Cast your cares upon Me. I Am your caregiver all the time, and you do not have to be bogged down. I will carry you and all that you carry as you yoke up to My easy yoke and light burden and let Me relieve you of the load, says the LORD. Do not listen to the lies of the enemy that is trying to distract you and stress you. He is not in charge of your life. I Am. When he tells you that you have to carry the load, he is a liar. I Am your burden bearer. I will help you. I will direct you and you will find rest and peace in Me. I will ease you and comfort you, not make things more complicated and strained. I never give you the impossible to do; that is My position and that is what I do. You do not have to be a doormat and abused and misused. That is not My prescription for you. Come and receive My blessings that enrich you with no attached sorrow. Come and rest and refresh yourself in Me as I give you comfort and unspeakable joy in My presence, and your rest will complete in Me, says the LORD. Thank you lord for your blessing. Amen. Amen thank You Father, You are always good. Hallelujah! Thank You My Lord! Thank You door another spectacular day, Lord Jesus !!! Please send the. Evil one packing !!! Thank You Abba for speaking directly into my circumstances today. You are so so so so good! I believe and receive all that You have said. Amen. Thank you Lord. I ask that you will bring a sudden end to all the evil the enemy did in my life. Father I know you never afflicted me or laid heaviness on me.